Hybrid Dogs: What are they and do you want one? What are they and do you want one? Hybrid dogs are very popular with some people right now. Others are confused about the meaning of the term “hybrid” when it comes to dogs. What are they? Should you get one? How are they different from purebred dogs? Are they a breed of dog? Are they mixed breeds? We’ll look at some commonly asked questions about hybrids. Hybrid breeds are an intentional cross between two purebred parents, such as a Cocker Spaniel and a Poodle to make a Cockapoo, or a Labrador Retriever and a Poodle to make a Labradoodle. The entire litter of puppies produced will be a hybrid litter of Cockapoos or Labradoodles. However, the puppies in the litter may vary a great deal. Some may have curly hair, or straight hair. Some may be tall or short. They may resemble one parent more than another. For this reason, hybrid dog breeds are not really a breed. They do not “breed true” or produce the same traits in one generation after another. If you breed two Labradoodles together, you still get a variety of different looks in the puppies instead of any kind of standard looking Labradoodle. The Cockapoo people have been trying for over 50 years to get their dogs to breed true and produce uniform Cockapoos in their litters. They don’t quite have it right yet, but they are still trying. They would like to form a breed with their Cockapoos if they can get the dogs to produce Cockapoo puppies when they breed two Cockapoos together. 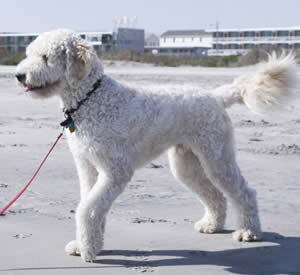 In Australia, the breeders of Labradoodles have made a hybrid breed of Labradoodles, but it only applies to dogs bred in Australia that meet their specific criteria. It does not apply to Labrador Retriever x Poodle crosses bred anywhere else. The Labradoodle breeders in Australia are now breeding only Labradoodle to Labradoodle. In most cases around the world, “hybrid dog breeds” refers to a first generation breeding of one purebred dog to a purebred dog of another breed. The results of the breeding are somewhat unpredictable. Even if the breeding is repeated, you may not get the same results. Hybrid breeds are not simple mixed breed dogs that you can find in your local animal shelter which are usually the result of accidental matings. Hybrid breeds are usually intentionally bred by a breeder with the purpose of producing a specific kind of pet. The term “second generation hybrid” refers to the breeding of one hybrid to another. For example, when you breed one Cockapoo with another Cockapoo, the resulting offspring would be a second generation cockapoo. Should you get a hybrid dog? That depends on what you like in a dog. If you like a puppy that will grow up to be a predictable size, with a predictable coat, and a predictable temperament, then no, you should not get a hybrid dog. You should get a purebred dog. Purebred dogs have been bred for generations, and often for hundreds of years, to be the kind of dogs they are. They are essentially predictable in size, looks, coat, behavior, and temperament. And those are good qualities for many dog owners who want to know what they are getting when they get a dog. 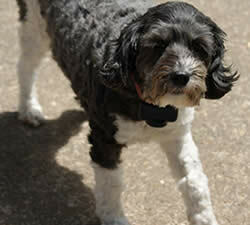 You can also usually predict the future health of a purebred dog and know what kind of issues are common in the breed. However, if you like two breeds, if you need the qualities of both breeds in a pet, and you are more adventurous, then you might do well with certain hybrid breeds. Labradoodles and Goldendoodles have proven to be very good pets for many people, for example, combining the intelligence, eagerness to please, and energy level of Labs or Golden Retrievers and Poodles. However, it has to be said, that not all hybrid crosses are such successes. Many hybrid mixes are experiments on the part of the breeder, and some of them either shouldn’t be made in the first place, or they are simply failures that shouldn’t be repeated. If you get a hybrid dog that is not a success you will still have to live with that dog for years. So, be sure you research the breeds involved. Do those breeds really belong together? What’s the worst that can happen? Because sometimes a dog does get the worst traits of both parents. Are hybrid dogs healthier than purebred dogs? No. If you consider for a moment how hybrid dogs are bred, you will understand why. Hybrids have purebred dogs as parents. If the parents have dog health problems or genetic diseases, then they can pass those diseases along to their offspring, whether those puppies are purebred or hybrid breeds. For example, if both a Labrador Retriever and a Poodle have Progressive Retinal Atrophy (an eye disease), it is very likely that their puppies with also have PRA, even though the parents are different breeds. The same is true of many other conditions. So hybrid dogs are not healthier than their parent breeds. They can inherit health problems from each parent. Hybrids often cost as much as or more than a good purebred puppy. Why? Because they are popular. If you are considering buying a hybrid puppy you should ask the breeder the same kind of questions you would ask a purebred dog breeder. Have the parents been tested for health issues? What health problems are common in the parent breeds? Have the puppies received their first vaccinations? Have they been wormed? Check around to find out what kind of reputation the breeder has. How long have they been breeding? Do you know if they take good care of their dogs? Have the puppies had any socialization? Have they spent time with people? Photo by lyrandian. Creative Commons Attribution 2.0 Generic (CC BY 2.0). Based on the number of purebred dogs available to breed with each other, there is a nearly infinite number of possible hybrid dog breeds. Following is a list of the most popular hybrid breeds and the purebred dogs used to create them. You will notice many of the hybrids include a Poodle. 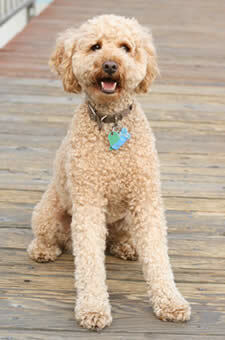 This is due to the Poodle’s hypoallergenic nature and the breeder’s desire to create a dog with similar qualities. Hybrid dogs can make very good pets but, like anything else, you need to do your homework before plunking down your money. Make sure that you get a good, healthy puppy. or physical characteristics of another, similar breed.